The Newbery Medal–winning author of The Hero and the Crown brings the Robin Hood legend to vivid life. 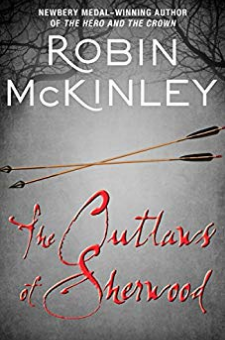 Young Robin Longbow, subapprentice forester in the King’s Forest of Nottingham, must contend with the dislike of the Chief Forester, who bullies Robin in memory of his popular father. But Robin does not want to leave Nottingham or lose the title to his father’s small tenancy, because he is in love with a young lady named Marian—and keeps remembering that his mother too was gentry and married a common forester. Robin has been granted a rare holiday to go to the Nottingham Fair, where he will spend the day with his friends Much and Marian. But he is ambushed by a group of the Chief Forester’s cronies, who challenge him to an archery contest . . . and he accidentally kills one of them in self-defense. He knows his own life is forfeit. But Much and Marian convince him that perhaps his personal catastrophe is also an opportunity: an opportunity for a few stubborn Saxons to gather together in the secret heart of Sherwood Forest and strike back against the arrogance and injustice of the Norman overlords.